Most people who utilize unified communications solutions are office workers. Whether through email on their laptop or instant messaging on their mobile device, along with all the other communication mediums available in a robust UC system, there are so many ways to get a message across. And with so much work to do and so little time in which to do it, stress in some form is almost inevitable in the modern work environment. Believe it or not, that stress can manifest itself physically, as is the case in a growing number of people afflicted with repetitive strain injuries related to texting or typing. While it sounds like the start of a joke about office life, these injuries are becoming more serious and more common in otherwise healthy individuals. A well-rounded communications function in any business would benefit from a full consideration of these risks, and adopt measures to mitigate them across the workforce. "Repetitive strain injuries resulting from using communications devices have become more common." A recent article from New York Times technology reporter Nellie Bowles shed light on an injury that is becoming more prevalent in adults who rely on a variety of devices to communicate for work or in their personal life. Bowles explained how she came to be diagnosed with a form of tendinosis in her thumb, a condition related to tendonitis and part of the broader spectrum of repetitive strain injuries. Tendonitis, or inflammation of the tissues that connect muscles to bones throughout the body, is more well known. However, tendinosis may actually be the more common condition, and is thought to be seriously underdiagnosed. Bowles found that over time, her right thumb would become numb and painful after prolonged periods of typing on the touch screen of her smartphone. As a veteran reporter, her days were filled with this repetitive activity, one that most of the general population is now quite accustomed to. But Bowles soon found that even normal use of her thumb was difficult and painful. Unable to give up completely on a simple action so crucial to her daily life, she continued to use her thumb as the pain became worse. "Eventually, my right thumb just stopped working," Bowles wrote. "It could not muster the strength to press down on my phone. It was both numb and achy. And the pain that had started in my hand was now shooting down my arm. I had a problem, one I later learned was becoming common." Her doctor diagnosed Bowles with a form of tendinosis, urging her to commit to complete rest of the affected digit or else require surgery. In speaking with her doctor and researching the condition more, Bowles found that the injury was more prevalent not just because of a culture of device dependency. It was actually most common in older adults, whose tendons have grown less flexible with age and thus are more prone to these types of injuries. Tendinosis and repetitive strain injuries are themselves only a piece of the larger puzzle related to our modern relationship with technology. The ability to remain plugged into our work and the world through our devices has had innumerable benefits, but is changing our minds and bodies in more ways than we may realize. Bowles spoke with Ann Cheever, a professor of communications at California State University at Dominguez Hills, whose research focuses on addictive behavior related to technology. Dr. Cheever had recently completed a study on anxiety related to mobile phone notifications, finding that subjects produced elevated heart rates and sweat when they received text messages but were told not to answer. Her research is part of a growing body of work that has found a link between addiction to communications devices and behaviors more commonly associated with substance abuse or gambling addiction. Even the acupuncturist Bowles visited on the recommendation of her doctor said she had seen many recent similar cases. "[Acupuncturist Michelle Kuroda] said I was one of the lucky ones," Bowles wrote. "She had just had two patients whose phone hands hurt so much that they had had to take leaves of absence from work. 'They were dropping things,' Ms. Kuroda said. 'They couldn't eat with forks.'" 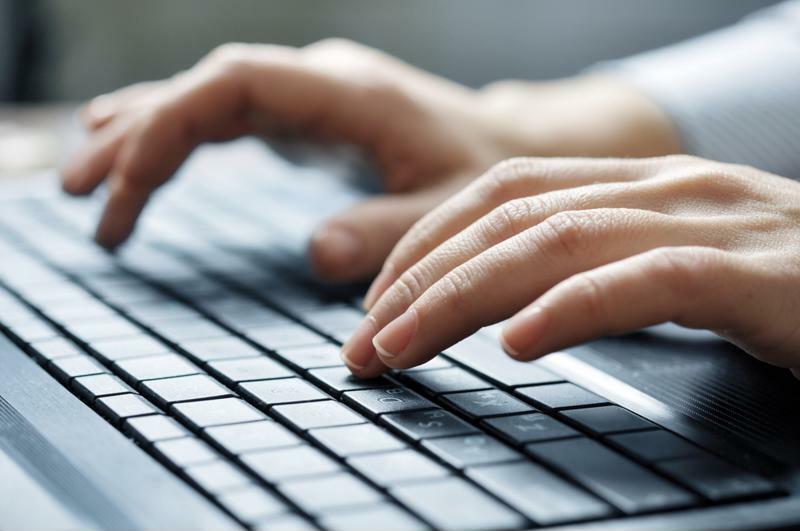 Repetitive motions as simple as typing can lead to serious injuries without proper care. The crux of Bowles's essay is that these injuries, and the behaviors behind them, need to be taken more seriously in the workplace, and among the public in general. A great deal of the newfound worries about technology addiction have been aimed at teenagers, but experts who spoke to Bowles said young people tended to be better at recognizing when they've spent too much time using a device and taking steps to cut back. Older people, on the other hand, have several factors working against them: They need to be on their devices constantly to keep up with work, and their bodies may be less able to adapt to this constant stress. "Cortisol and adrenaline, which the body releases when it feels stress, make one prone to inflammation and contribute to conditions like the one I was experiencing," Bowles wrote. She found the best treatment to be complete rest of her thumb, which required some adaptation to her work habits that were difficult to commit to. After several weeks of going without her right thumb for texting or almost any other repetitive motion, though, Bowles felt like she was back to normal. Technology may be hurting us in ways that we haven't considered, but it could just as easily help us overcome our own dependency, in small ways. Unified communications solutions offer multiple ways to connect with coworkers, including video and voice chat, which could easily help substitute for manual typing when rest is required. As more advanced tools like speech-to-text software or better video connectivity become more widely available, it may be even easier to treat and prevent these common injuries. Of course, a more comprehensive solution may require a full assessment of a company's policies around work-life balance. After all, sometimes the best way to grow more creative and productive over the long term is by taking time to disconnect and recharge.